Cage-like features at the entrance to the new dog park. The fencing is finished, complete with three cage-like enclosures at the entrance, with gates to the outside as well as the inside. 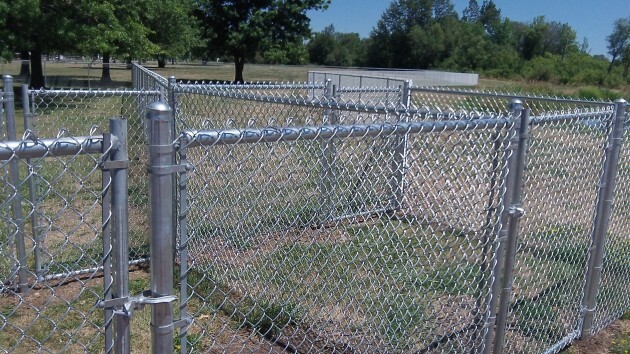 Glistening in the summer heat, all that brand new chain link makes the place look a little for forbidding, but presumably the dogs won’t mind. On Monday, a city crew was installing water lines so dogs will have a way to get a drink. Timber Lake in the background. The dog park covers about 2 acres on the north side of Timber Linn Park, near the pond known as Timber Lake. 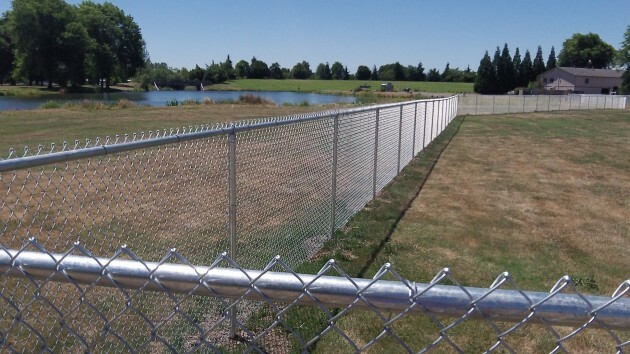 Access is from a graveled driveway and parking lot between the pond and a parks maintenance building.